 Bonnyrigg White Eagles and Metrostars SC of Adelaide faced each other at picturesque Lambert Park in Leichhardt in the Grand Final of PlayStation 4 National Premier Leagues and in the end it was Mertrostars SC that took out the title with a narrow victory thanks to an early goal. The victory not only gives the South Australian based club the title in 2014 but also a guaranteed place in next year’s Westfield FFA Cup. In the third minute the opening and only goal of the game arrived when a cross from the left with pinpoint accuracy was met by Fabian Barbiero unmarked in the box and, with a great strike, the former A-League player found the back of the net. It was all that was needed in the end to separate both teams even though the Brian Brown-coached Bonnyrigg White Eagles threw everything, including the proverbial kitchen sink, at the visitors late in the game as they chased the equaliser. In the 21’ minute a corner by Steven Grelli was almost directly into the net but for the good work of James Chronopoulos between the posts for the NSW based outfit who punched it away for another corner. In the 25’ minute a disallowed goal to Nikola Zonjic was ruled offside and it could have been the equaliser that Bonnyrigg were chasing. Metrostars SC responded shortly afterwards through a diagonal shot by Perry Mitris that was just wide of the mark as they went looking for a second goal. In the 40’ minute a Tynan Diaz cross was well met by goalkeeper Daniel Godley and right at the end of the first half, Bo Hyun Chun shot wide of the goal by a very narrow margin as Bonnyrigg White Eagles tried to even the ledger just prior to the interval. In the second half, a low trajectory shot by Steven Grelli in the second minute was saved by Chronopoulos as the opening salvo of the second stanza of play went begging. A corner by Diaz in the 50’ minute was met by Dylan Fox diving in the box but in the end the ball finished just over the crossbar as Bonnyrigg White Eagles went in search of the equaliser. In the 55’ minute Diaz made an electrifying run down the right flank and his cross at the end of the run was well met by goalkeeper Godley. It was not to be for Diaz once again. In the 66’ minute Anthony Solagna took the ball through the heart of the Bonnyrigg defence but fired just over the crossbar with his final kick. In the 72’ minute Perry Mitris could have double the Metrostars lead but missed the opportunity. Late in the game Bonnyrigg White Eagles went in desperate search of the elusive equaliser and came ever so close when an Alex Mansueto cross was volleyed by Diaz at close range, but the fortuitous positioning of a Metrostars SC defender who blocked the ball with his stomach pretty much closed out the game there and then for the South Australian based side. On a positive note for the NSW side, David Vrankovic took out the John Kosmina Man of the Match award. BONNYRIGG WHITE EAGLES: Chronopoulos, Vrankovic, Tadrosse, Zonjic, Canak (Doyle 72’), Younis, Diaz, Fox, Ucchino (Mansueto 73’), Peterson, Chun. METROSTARS SC: Godley, Menechella (Callisto 60’), Robertson, Solagna, D’Aloisio, Grelli, Tunbridge (Ciarla 90’), Barbiero, Polisena, Van Dommele, Mitris. Substitutes not used: Patterson, Cali, Callisto, D’Arrigo. -By Joe Russo, at Lambert Park. APIA Leichhardt Tigers will be participating in its thirteenth successive Tournament in 2015, a Tournament that hosts the likes of A.C Milan, Inter Milan, Newcastle United, Juventus, A.S Roma, Bayern Munich, Santos, Anderlecht, River Plate and Fiorentina every year. In the past four years, APIA Leichhardt Tigers have played the likes of European giants AC Milan, Inter Milan and Juventus, as well as taking on some world class footballers who have gone onto becoming world beaters.